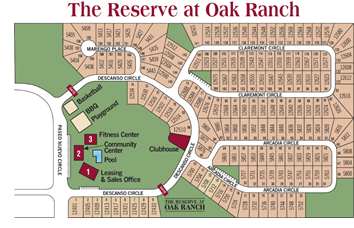 ​​​​​​​​​​​ DEL VALLE – Roberts Communities has announced the final phase of The Reserve at Oak Ranch, a gated resort community for adults 55+ at 12500 Descanso Cir. The neighborhood offers affordable​ housing with 30 final homes and lots now available. The houses market for 50 percent less than the average single family-home, currently priced from $202,000. The community also offers social events, a resort-style clubhouse, and a beach-entry pool.